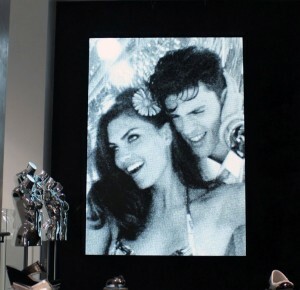 NEW YORK, Mar 3, 2011 / — D3 LED has created a custom LED digital display for American lifestyle brand GUESS that was unveiled Feb. 17 at the opening of the brand’s 13,000 square foot flagship store at 575 Fifth Avenue in New York City. D3, headquartered in New York City and Rancho Cordova, Calif., was selected by GUESS in 2010 to design and manufacture the display for what is now the largest GUESS flagship store in the world. This display is the first installed on Fifth Avenue by D3, and first created for the iconic GUESS brand. The innovative 6mm ST6 SMD LED display is located inside the GUESS store on the main level and will play behind-the-scenes footage from fashion shows and campaign shoots, in addition to being used for in-store events. The 143,360-pixel screen, encased in a sleek aluminum frame, measures 9 feet 4 inches high by 6 feet 4 inches wide, and is capable of delivering live and pre-recorded video, plus photos and animations.